The new zoning ordinance will allow gas stations as a conditional accessory use in the township’s regional business B4 zoning district. Hundreds of residents turned up to the meeting to speak out against the ordinance. A debate over a zoning ordinance caused a lot of frustration, anger and shouts of protests from hundreds of Cherry Hill community members on Monday evening. 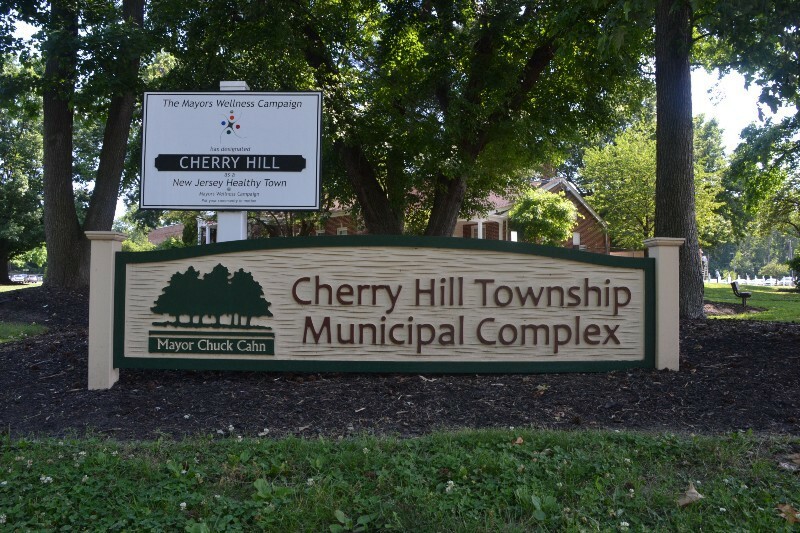 At its meeting Monday, Cherry Hill Township Council voted to amend a township zoning ordinance that will allow gas stations within the township’s regional business B4 zoning district as a conditional accessory use. Council’s vote did not please those who witnessed the meeting. Audience members shouted over Mayor Chuck Cahn and members of council as they made comments before and during the vote, voicing their displeasure. “No re-zoning!” shouted a number of residents as Cahn tried to speak. After council voted to adopt the ordinance, most of the crowd marched out of the N. John Amato Council Chambers. Some residents continued to speak loudly at council as they proceeded with the meeting, making most of the remainder of the meeting nearly inaudible. After well more than 100 residents turned out for the public hearing on the proposed ordinance, only about 20 remained for the remainder of the meeting. There was a great divide between the residents in attendance and council over the ordinance. The adopted ordinance allows gas stations alongside a principal retail business with a minimum floor area of 10,000 square feet. Among the 15 conditions listed in the ordinance are requirements for the lot to be at least two acres, a 30-foot buffer between any gas station use and residential area, screening of all fueling lanes from streets, sidewalks, parks, public open spaces and outdoor dining areas with landscaping and a maximum of eight fueling lanes and 16 pumps. Numerous residents felt the ordinance was being done strictly to allow Costco to build a gas station as part of a proposed location at Garden State Park. Costco filed an application with the township in 2013 to build at the shopping center. Township officials noted the new ordinance doesn’t just affect the proposed Costco location, but also other B4 zones within Cherry Hill. There are 27 lots within the B4 zone large enough to allow for a gas station to be built as a conditional accessory use to a principal retail use. Township officials, including Cahn, said the ordinance was meant to make changes to the B4 zone as a whole. “It’s not about Costco,” Cahn told the residents. Cahn also informed the audience they would have time to voice their opinions about a future Costco store when Costco goes before the planning board in the future. Township Director of Planning Paul Stridick added the amended zoning ordinance offers benefits for the commercial development of B4 zones in the township. He said the new ordinance promotes commercial development, growth and the revitalization of underutilized areas within the B4 district throughout Cherry Hill. “The proposed amendment to the ordinance is substantially consistent with the Cherry Hill master plan,” Stridick said. Steven Ravitz, a resident of Cherry Hill for more than 40 years and president of Supermarkets of Cherry Hill, disagreed, saying the ordinance was an example of illegal spot zoning. “If it looks like spot zoning, smells like spot zoning … it’s probably spot zoning,” Ravitz said to wild applause from the audience. Ravitz had fought the ordinance before. A similar ordinance to the one adopted on Monday was also adopted by council on Dec. 30, 2015. However, it was later voided because residents were not properly notified of the zoning change, forcing the ordinance to be approved again. A similar ordinance with different conditions was also approved on first reading by council in 2014. However, it was never placed on a council agenda for second reading and public hearing. Resident Judy Amorosa also felt the township was passing the ordinance specifically for Costco, citing open public records emails where the township had meetings with Garden State Park developers and Costco. In one email from September 2015, the township sent a zoning amendment proposal for B4 to Garden State Park developer Edgewood Properties. Amorosa said the emails served as evidence the ordinance was being done to appease Costco. Dozens of other residents spoke during public comment, pleading with council not to approve the ordinance. Many cited traffic issues, saying the township’s roads are already overcrowded. Others, such as Claire Ciccotelli, a resident of 3rd avenue near Garden State Park, had health concerns. Ciccotelli was worried about a possible Costco gas station being built close to her home and the effects potentially harming the health of her children. “A 30-foot buffer is not going to be enough to protect my children,” she said. Cherry Hill Township Director of Communication Bridget Palmer said in an email, the 30-foot buffer is measured from property line to property line, not from the pump to home. In addition, she said preliminary plans for Costco would have a gas pump at the closest a few hundred feet away from the closest residences, nowhere near the minimum 30-foot buffer.